I’m really excited to introduce you to a new way to book your next beauty service, ladies and gents. 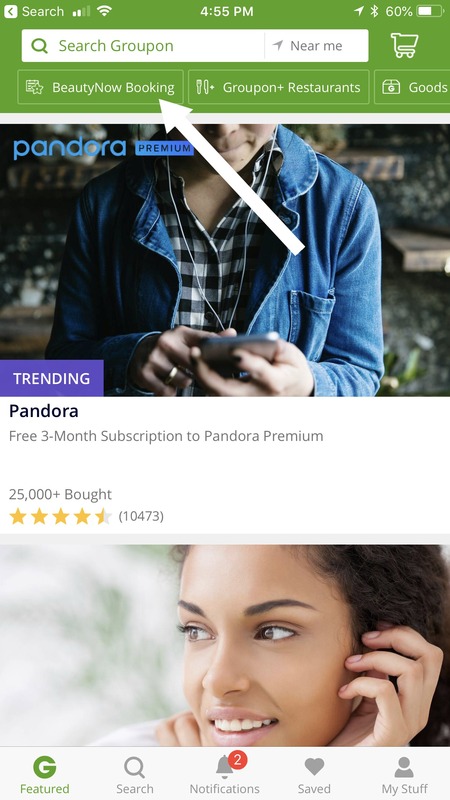 Instead of calling your local salon, sitting on hold, and hoping you can get on their busy schedule, use Groupon’s BeautyNow Booking to snag your next beauty service. This is a sponsored post in collaboration with Groupon and Fourstarzz Media; all opinions are entirely my own. BeautyNow Booking is the easiest way to discover and book any beauty service at the right combination of time, price, and merchant. 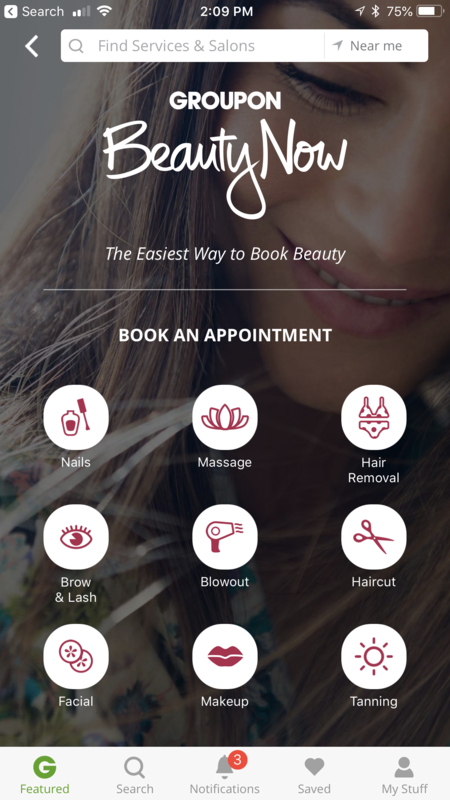 By booking with BeautyNow Booking, you have access to a seamless booking experience, quality salons and spas, a cashless payment + tip checkout system, and pricing you’ll love. Now that BeautyNow Booking is available in Houston (YAY!) I am able to book my services using the Groupon App (or through the Groupon website) at any time during the day or night. I absolutely adore that I can pick up my phone, open the Groupon App, and book an appointment for a variety of services whenever I feel like it. I can’t tell you how many times I’ve forgotten to call the salon to book an appointment during business hours only to remember when I’m getting into bed at night. 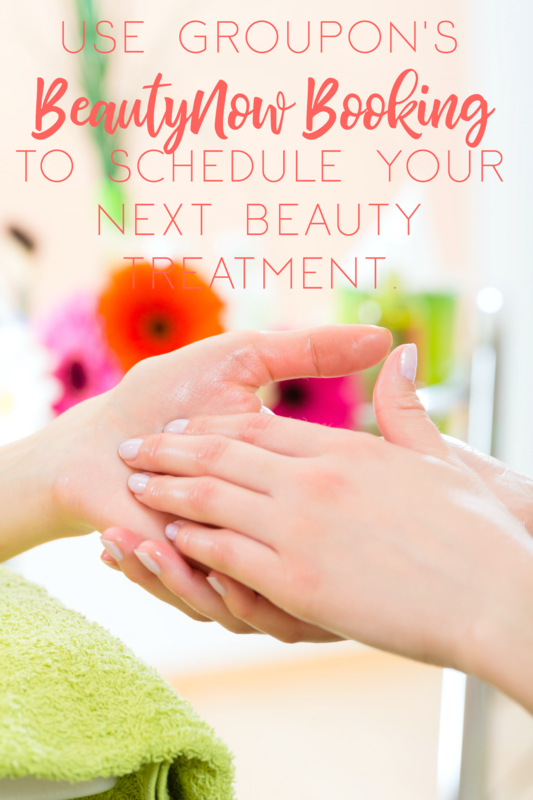 With BeautyNow Booking I can schedule my appointments on my schedule, not the salons. Services available for scheduling through BeautyNow Booking include nails, massages, hair removal, brow & lashes, blowouts, haircuts, facials, makeup, and tanning. Once you click on one of the nine services offered, you can choose a specific service within that category. For example, I wanted to get my nails done. I clicked on Nails and then had the option of choosing the specific service that I needed. In this case, it was a No-Chip Manicure (Shellac). 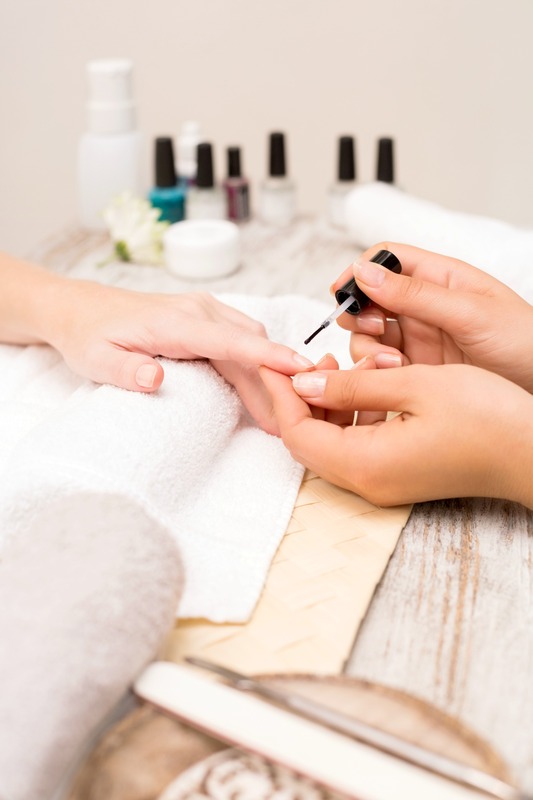 Other services available are Manicures, Mani Pedis, Pedicures and No-Chip Manis & Reg Pedis within the nails category. After selecting the service needed, you can select a date within the next 7 days and it will show the salons or spas available. 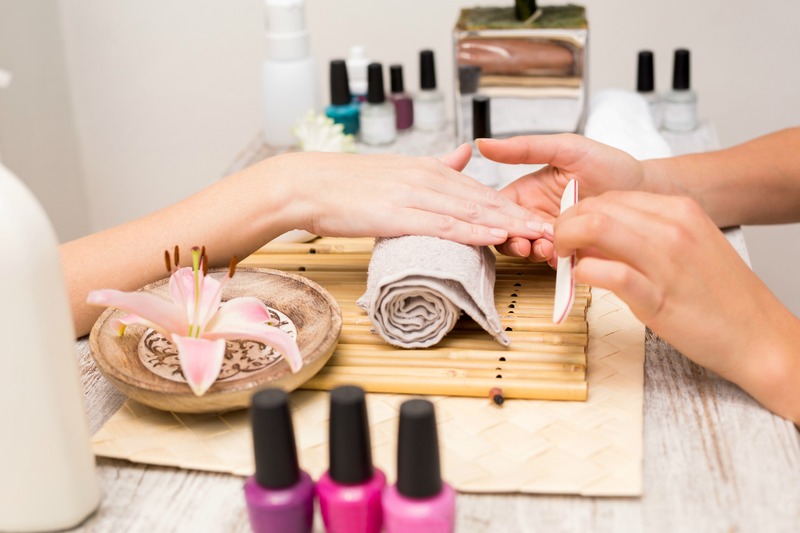 You can scroll through the list of salons/spas and see available appointment times, prices, and if there are any discounts available. 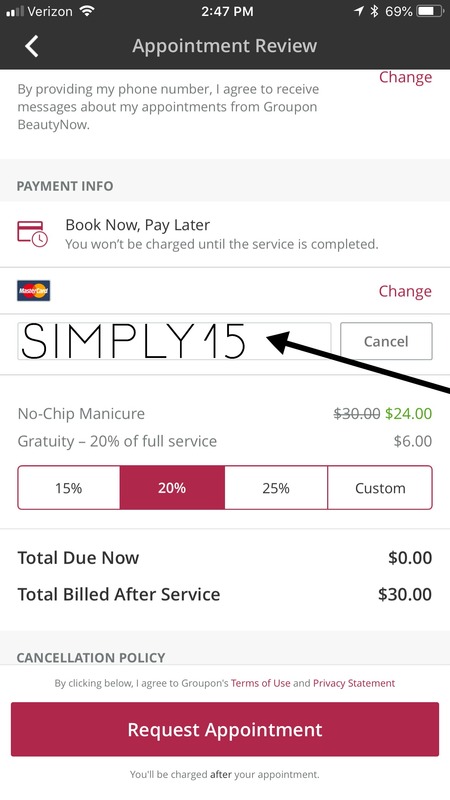 You can choose your preferred salon, time and add your payment and tipping information while booking. 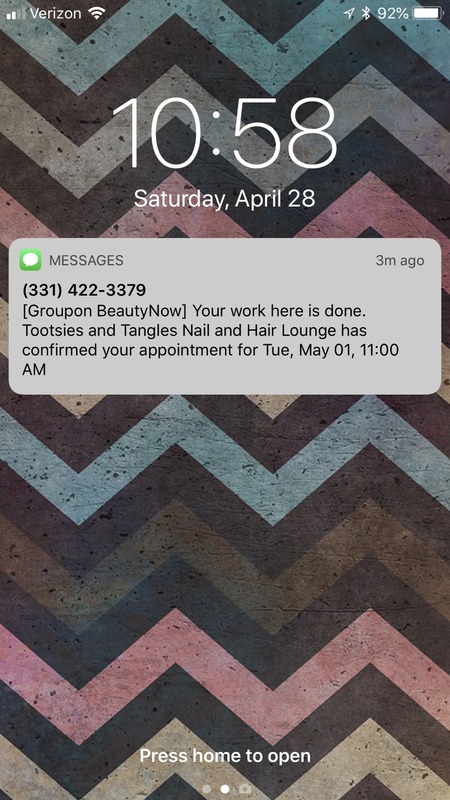 Once you’ve booked your service through BeautyNow Booking, you’ll receive a text notification that they’re working on your request. Once they’re able to secure your appointment time, you’ll receive another text stating that your requested appointment time has been confirmed. And then the day before your appointment, you’ll receive an email reminder about your upcoming BeautyNow Booking. The day of your appointment you’ll also receive a text reminding you of your upcoming appointment. I personally love all the reminders because I’m very forgetful. For my manicure I just wanted something light and shimmery so I chose a very light, almost translucent shimmer polish. I love the way it turned out – you can still see my natural nail, it just has the slightest sparkle and shimmer. I have a $15 promo code, exclusively for Simply Being Mommy readers, that is valid for 14 days from the date of this post. To take advantage of this discount, simply enter the code SIMPLY15 at the checkout screen as shown below. If you’re in need of some beauty treatments, now is the PERFECT time to take advantage of this special discount. Remember, all you have to do is type the code SIMPLY15 to receive your discount. 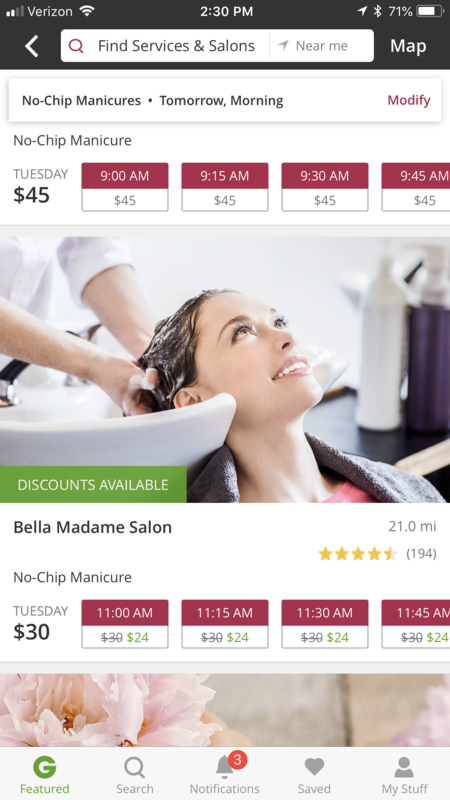 Using Groupon’s BeautyNow Booking service allows you to make appointments on your schedule and allows you to see other salons and spas in the area that you might not have seen otherwise. And let’s not forget that you can see any available discounts before booking, too. It’s always nice to save on beauty services, right? I have never heard of the beauty now service but it sounds fantastic. I love Groupon so I bet I will love this too! Thanks for the heads up. My wife would totally use that, especially if she could save money. Hopefully they expand to Iowa someday! I have never heard of this but what a great way to look for services and book services instead of having to make phone calls. BeautyNow Booking sounds perfect for a busy mom like me! I purchase most of my beauty services at a discount through Groupon and can not wait to easily book those appointments. I could totally use this. I too am one of those people, laying in bed late at night and remembering what I forgot to do. This is awesome.